As the calendar turned over from 2006 to 2007, beekeepers taking stock of their hives made some alarming discoveries: 30-90 percent of their hives – lost1. Mysteriously, there was little evidence of the missing population of worker bees, essential to the hive to bring back food. Left behind were the queen and its brood of immature bees, along with plenty of honey and pollen. No amount of reserves, however, could sustain a hive if its workers vanished. The colonies were doomed to collapse. The following winter brought the same calamity – more than 35 percent of colonies were lost between 2007 and 2008, with 60 percent of those lost attributed to a phenomenon that would soon bring an apocalyptic headline: Colony Collapse Disorder (CCD). Worst-case scenarios began to forecast a world without bees, which pollinate $15 billion in American crops each year2. Was humankind’s modernity unraveling the delicate balance of the ecosystem? Would we soon reckon with famine, in a world without fruit and fresh flowers? Government scientists did not wait for successive years of beehive loss to act. Before the end of winter in 2006, the USDA’s Agricultural Research Service formed the Colony Collapse Disorder Working Group, consisting of scientists across government – including the Department of Defense – and academics at major research institutions such as Penn State3. 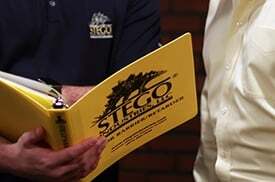 Meanwhile, stakeholders across disciplines interested in the health of honeybee populations formed the Bee Informed Collaborative to help organize efforts in 2006. 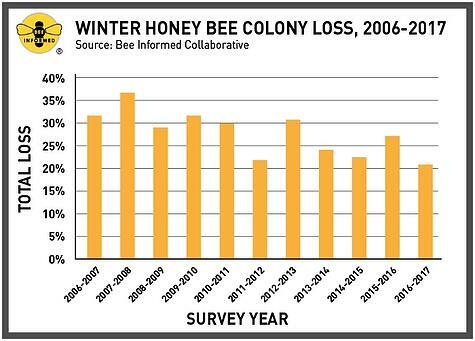 They’ve published a honey bee colony loss survey4 every year since. What could be responsible for such a precipitous increase in worker bees disappearing from their hives, leaving their colonies to collapse? Government fact-finding and academic research may not come with the same drama characterized by Hollywood, but their findings – and their potential consequences – did not need the embellishment of screenwriters. Researchers set out to isolate factors that could have contributed to such a rapid and acute problem. Was there an outbreak of sickness among bees? Tiny, unicellular parasites from the genus Nosema cause widespread disease in honey bees. Were external parasites like the Varroa Mite to blame? Varroa mites can only reproduce in honey bee colonies. Were bees malnourished? Ironically, could the malnourishment of the honey bee lead to our own malnourishment through loss of fruit crops and flower oils? Perhaps the bees were just stressed out? 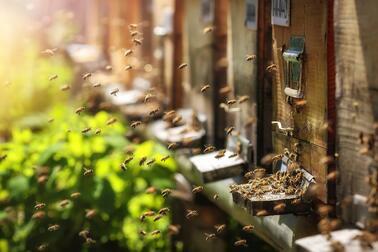 Scientists even posited that migrating hives by beekeepers could have played a role. But while researchers specialize in controlling variables and working through complex scenarios, investigators had their eyes on a usual suspect: pesticides. In the winter of 2012, scientists at Harvard’s School of Public Health in Boston had achieved just the type of isolation of complex variables that would lead to a dramatic discovery. Their experiment was, in fact, quite simple5: working with an apiary in Central Massachusetts, the researchers created six identical honeybee colonies. The six colonies would allow them to control for food (malnourishment), disease (all were protected against Nosema and Varroa Mites), and stress (no migration took place). The six colonies would have three distinct groups: a control group, and two separate groups treated each with a single neonicotinoid, a form of insecticide that paralyzes its intended target, killing it. As the calendar year wound down, all three groups saw the same depletion of their population in the hive, as would be seen in nature. However, after the New Year, the control group bounced back: its bee population started to regenerate new bees. Meanwhile, both groups treated with neonicotinoids never recovered their populations. The difference in bee colony groups took an even clearer turn in the spring air, when bees would be expected to reemerge and begin their vital role in our delicate ecosystem. Not only had the neonicotinoid-treated groups never recovered their population in the form of new, emergent bees, but even the bees that had survived the winter vanished. The colonies treated with the insecticides collapsed. The conclusion could not have been more straightforward: neonicotinoids inhibited colonies from recovering their population losses in the winter, which they called “the main culprit” in Colony Collapse Disorder (Lu et al, 2014). In less than a decade, researchers had confronted a grave set of circumstances that could have led to a catastrophe in our food supply, and – through the miracle of science and the brilliance of its scientists – isolated its primary cause. The regulatory response was equally swift. In 2013 – as the body of evidence against neonicotinoids grew – the European Union banned the use and sale of seeds treated with fipronil6, a specific pesticide similar in toxicity and chemical composition to many neonicotinoids used to control agricultural pests. In the summer of 2017, sustainable food experts winced when European regulators ordered the destruction of millions of chicken eggs from the Netherlands after experts discovered they had been contaminated with fipronil7. While controls have not been as drastic in the United States, the U.S. Environmental Protection Agency began issuing emergency uses of fipronil in 2013, around the same time of Europe’s outright ban. Meanwhile, the Bee Informed Collaborative had good news when it published its eleventh annual bee colony loss survey in the Spring of 20178. Colony loss in 2016-2017 was below the ten-year average and the second lowest colony loss since 2010. Is the Next Crisis Already Upon Us? While there are innumerable positive developments to glean from the looming crisis of CCD, there is no time for a victory lap. In October 2017, scientists in Europe sounded a new alarm: flying insects – down to the tiny bugs we used to see flying around street lamps – have declined 75 percent in the past 27 years9. Once again, tiny bugs critical to the balance of our ecosystem, from the fish we eat to the crops we grow, could hang in the balance. While the groundbreaking study did not identify a definitive cause, the study’s author once again has a prime suspect: fertilizer and pesticide application. The scientific community will once again tap its resources to determine the size, scope, and causes of the problem. 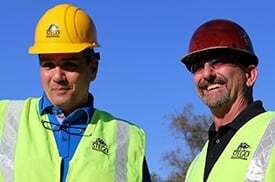 The tale of Colony Collapse Disorder – and the next crisis already on the horizon with flying insects -- highlight how the construction industry can learn from this episode to avoid causing another such scare. 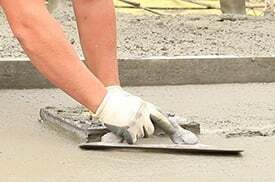 Neonicotinoids, as well as fipronil, are used under a variety of brand names on building sites as a termiticide pre-treatment. Chemical pre-treatment has long been the prevailing method of termite mitigation in new construction projects. While there is no direct link between termiticides in our soils and the destruction of honey bees or flying insects in our air, the line between neonicotinoids and bee colony loss drawn by researchers should give our industry pause. While chemicals have led to many great technological advancements in society, we cannot be ignorant of their unintended consequences. 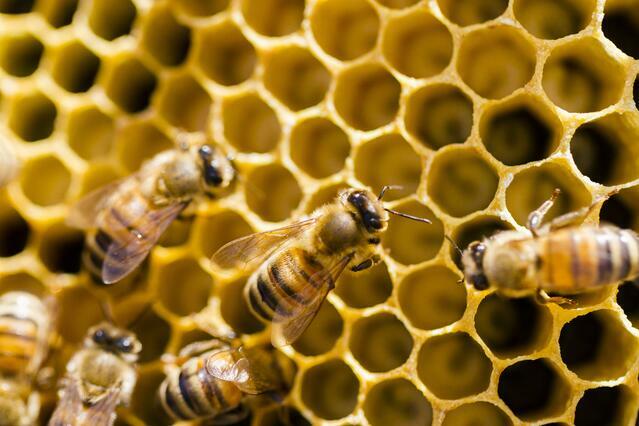 The next Colony Collapse Disorder may not be identified and solved as quickly. 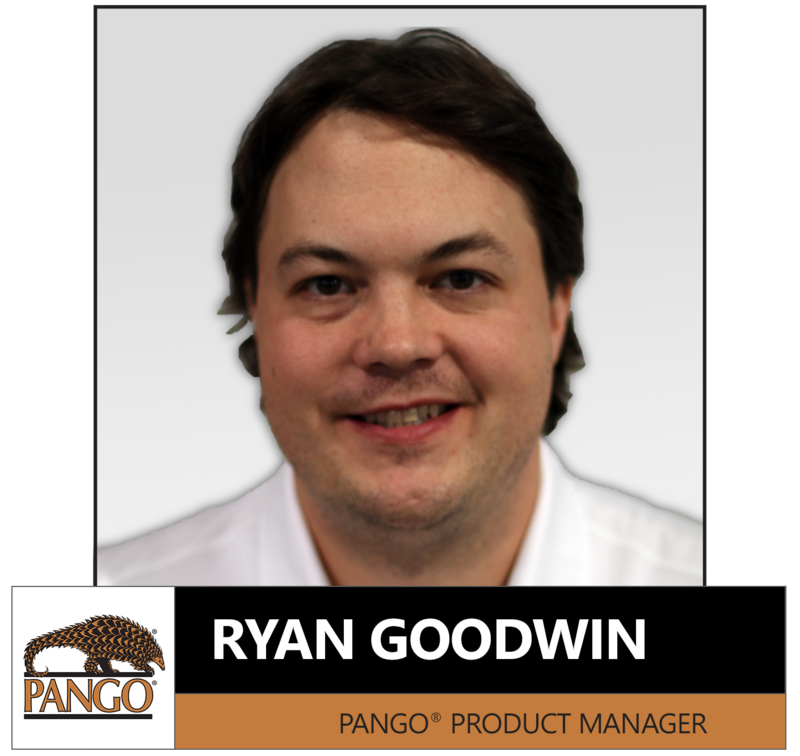 The lesson is simple: the construction industry cannot always see the long-term effects of their choices and must be ready to explore alternatives to using chemicals in any application. Why not seek alternatives to chemicals where we can? 1 United States Environmental Protection Agency (2017). 2 United States Department of Agriculture (2017). 3 United States Department of Agriculture (2009). 4 Bee Informed Collaborative (2017). Honey Bee Colony Losses 2016-2017. University Park, Md. : Bee Informed Partnership, Inc.
5 Lu, C., Warchol, K. & Callahan, R. (2014). 7 The Associated Press (August 8, 2017). 8 Bee Informed Collaborative (2017). More than 75 percent decline over 27 years in total flying insect biomass in protected areas. PLoS ONE 12(10): e0185809.